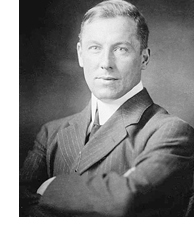 Robert W. Service (1874-1958) was a poet and novelist born in the UK, but indelibly associated with Canada, especially the Yukon Territory, He lived in Canada between 1896 and 1912. He wrote two tales of SF&F. The Master of the Microbe: A Fantastic Romance (1926) has a German mad scientist who infects the continent with plague, the Purple Pest, in revenge for Germany’s defeat in 1918. There are characters who conceal their identity under costume; an early appearance of a theme later developed in superhero fiction. He also wrote The House of Fear (1927), a werewolf story. For more detail, see John Clute’s entry in the Encyclopedia of Science Fiction. Clute notes that “the not entirely fortunate influence of his poetry—when read aloud, as usual—can still be registered in the sf poetry of a century later”. Service was born in Preston, Lancashire, the eldest in a family of ten: his father was a Scottish bank clerk and his mother the daughter of a mill-owner and wholesale merchant. When Service was four, his family moved back to Scotland: he and one brother were brought up by relatives in Ayrshire, while the rest of the family were in Glasgow. Service left school at 14, and joined a bank; he began publishing poetry. In April 1896 he emigrated to British Columbia, and after working on farms he started travelling up and down the Pacific coast, from Mexico to Alaska. He then took up a steady position with the Canadian Bank of Commerce, first in British Columbia, and then in the Yukon. It was there he became “the Bard of the Yukon” and “Canada’s Kipling”; his most famous verse was “The Shooting of Dan McGrew”. His first book of verse, which sold literally millions of copies, was published in 1907: Songs of a Sourdough (Toronto) or The Spell of the Yukon (New York). He left Canada for good in 1912, initially to report on the Balkan War. In 1913 he married Germaine Bourgoin, the daughter of a Parisian distillery owner. He always remained a British citizen, but he often lived in France. After his war experiences, he wrote novels (including his two fantastic novels, and became obsessed with his health. (He wrote Why Not Grow Young? Keeping Fit at Fifty in 1928). When the Second World War began, he went to Hollywood, and appeared as himself, against Marlene Dietrich, in a film about the gold rush. In 1945 he returned to his homes in Britanny and Nice, and published two volumes of autobiography and eight volumes of verse. Though he was widely and deeply read in poetry, Service never claimed to be more than a versifier rhyming for “lowbrows”. Few literary critics have taken his work seriously, even in his Scottish homeland, though he recognizably stands in the tradition of the medieval “makers”, Robert Burns, and R. L. Stevenson. Bard and story-teller, he writes with demotic humour and pathos on behalf of the deviant and the underdog, with a passion against war and a scorn for rank and privilege. Granted that he was sentimental, his sentiment is generous and humane. He died in September 1958 in his summer home in Lancieux, Brittany, where he was buried. My information comes largely from C.F. Klinck’s entry in the Oxford Dictionary of National Biography, revised by Angus Calder.